American Skin Institute is excited to introduce Venus Legacy body contouring treatments to our patients in our Sherman Oaks office. This device from Venus Concept combines several technologies that allow our providers to deliver targeted body contouring and skin tightening treatments with no down time. Such treatments with Venus Legacy are a great option for patients with mild to moderate instances of sagging skin, cellulite, and wrinkles. 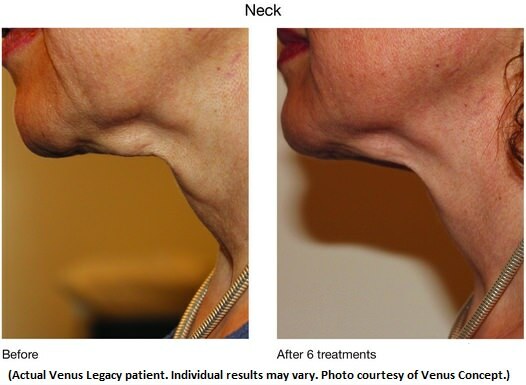 If you’d like to learn more about how Venus Legacy treatments in our Sherman Oaks office can help you achieve tighter skin, please fill out the contact form below to schedule a consultation. SUBMIT CONTACT FORM FOR CONSULTATION! Venus Legacy is a versatile device that incorporates several technologies to tighten the skin and improve skin texture. At the very core, this device achieve improvements in the skin by targeted heating of skin structures. However, it uses different methodologies for different results. For example, multi-polar radiofrequency is used to strengthen collagen and break down fat deposits. To focus on stimulating collagen production and developing new blood vessels, Venus Legacy uses pulsed electro magnetic field therapy. This helps tighten the skin by boosting the skin’s natural support structure, and boosts skin health in the long term by improving blood circulation in the treatment area. Good circulation is vital for healthy skin, because blood carries oxygen and nutrients which are essential for keeping skin cells healthy. But the Venus Legacy goes a step further. The problem with body contouring devices that heat up the skin has always been how to get to deeper layers without delivering too much heat. This is important, because the heat levels have to fall within a specific range in order to deliver the best results. To achieve deeper heat penetration and a more even application, the Venus Legacy uses varipulse technology, which gently suctions the skin upward, to expand the tissue and make it easier for the heat to penetrate. The added benefit of this suctioning is that the gentle massaging of the skin is combined with the heat to clear away some of the lymphatic waste that can build up to cause skin problems. Further, the gentle suctioning stimulates immediate blood circulation to the area, which brings nutrient-rich blood to the skin cells and carries away lymphatic waste. 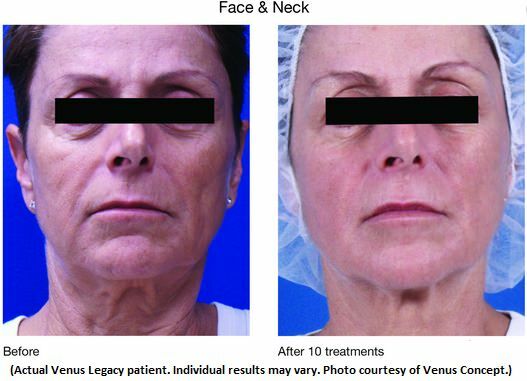 American Skin Institute provider can use the Venus Legacy treatments in our Sherman Oaks office to address a number of conditions. The primary purpose of this device is to tighten the skin, but it can do so in a variety of way, depending on your specific problem. For example, building new collagen and strengthening the existing fibers is a big aspect of what Venus Legacy is meant to achieve. By strengthening the skin’s natural protein support network, your skin will become more resilient, will be able to withstand gravity better, and will bounce back more quickly. In addition to stimulating collagen, the heat will also break down some of the fatty tissue near the surface, which is a viable option for reducing the appearance of cellulite and for targeting stubborn pockets of fat. Further, the improved blood circulation will increase skin health in the treatment area. 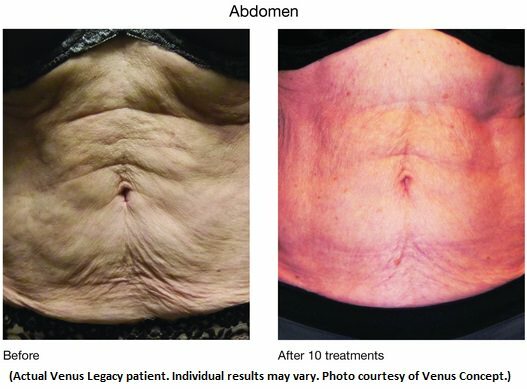 To learn more about Venus Legacy treatments in Sherman Oaks, please call us at (818) 907-7546, or fill out the Contact Form below!